Prominent & Leading Manufacturer from Chennai, we offer Simulation Engine Control Unit, Microprocessor Controller Unit, Vehicle Calibration For Emissions And Fuel Consumption, Powertrain Calibration for Commercial Vehicles, AVL Standalone Software Solution and AVL Test Gate Remote Monitoring Software Solution. AVL CRUISE™ M Engine package provide a real-time capable internal combustion engine model dedicated to the investigation of transient operating conditions offline for CAE applications and online integrated in the testing environment. It is running in the time domain using transient and steady-state 0D and quasi-dimensional component models alternatively with a Crank-angle-resolved or data driven surrogate cylinder module. AVL offers a high quality development service for 12 V and 24 V controls units covering a wide variety from simple up to high complex automotive and automotive related systems. These control units support all common voltage levels from 12 V, 24 V through 48 V up to 800 V.
From March, 2014, Infineon and AVL have offered the Preferred Design House partnership for the Infineon Aurix Microcontroller and peripheral Infineon components. The professional execution of projects leads to trouble-free transfer of results into series production. To takle the more complex ECU functions and calibrations AVL is using its own tools CAMEO, FOX and CRETA, in order to automate and guaranty the quality of the calibration. In addition modelbased methodology is used to increase the quality and efficiency. Of course AVL is flexible and open to use other tools if requested from the customer.Model Based Engine Optimization (MoBEO)To ensure efficiency and high quality The common trend in the industy is to reduce development time and cost and at the same time to manage the growing number of variants and calibration complexity. This forces the industry to develop new tools and processes for powertrain calibration. The AVL EMCON Standalone Advanced has an ergonomically designed operating panel and the same control I/O as the BME 400. The AVL EMCON 400 Standalone Advanced includes a runtime environment to execute MATLAB® Simulink®-based real-time applications created with AVL ARTE.Lab™ on the same controller HW. The real-time applications can be started individually or automatically with EMCON 400 Standalone. An EMCON Standalone Advanced Web Client enables the parameterization of the controller by using the standard browser on an office PC, or directly on the controller workstation. The Web Client provides a number of intuitive and user-friendly GUIs to edit some of the most frequently used EMCON database arrays. The control software operates on powerful INTEL™ hardware with an INtime® real-time operating system. It uses the same control I/O as the BME 400 and the AVL automation system PUMA OpenTM. As the same hardware is used, a direct upgrade path to AVL PUMA OpenTM is available. As well as the BME 400, the EMCON Standalone Advanced can be connected to all types of testbed automation systems by means of different hybrid or digital interfaces. At the same time, parameterization of the controller is possible by using the standard web browser on the office PC connected via Ethernet. The MATLAB® Simulink®-based real-time applications can be automatically integrated while model start/stop and online parameterization is managed via a common application desktop. This web-based monitoring tool gives an overview of the entire test facility for AVL and 3rd party testbed automation systems.Obtain an overview of the status of the entire test facility – easily via internet and web browser from the office, or from any other location with internet access. You can retrieve the current status of all testbeds, loaded parameters and online measurement values at any time. The testbed operator can retrieve data from AVL PUMA testbeds (PUMA 5.6x or PUMA Open), including AVL SANTORIN™ Host systems, in order to obtain a detailed status overview of the corresponding testbeds. Testbed administrators obtain an overview of the entire test facility and efficiently determine the status of the overall test facility. Thus they can quickly diagnose malfunctions by navigating to a certain testbed from the overview and retrieving details. The responsible development engineer can use AVL TestGate™ to observe the status of his testbed. He can also support testbed operators from his office or his home office by means of an internet connection. In addition, AVL TestGate™ makes use of the existing AVL SANTORIN security mechanisms of the test facility thus avoiding additional user management. AVL IndiCom 2™ is THE reference software solution in the field of combustion analysis. … it’s about how well they work together. How to adapt my combustion analysis to new engine concepts? 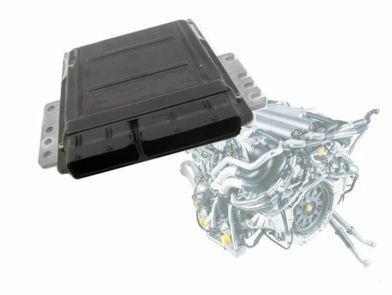 How to push the engine to its limits without damaging it? How to get the best combustion efficiency for highest engine performance?AVL IndiCom 2TM has been designed for combustion experts and calibration engineers to optimize the combustion process throughout all engine development phases in a safe and easy way. Offering a high level of automation in combination with easy data management and analysis, AVL IndiCom 2TM provides a unique graphical programming interface to implement your own calculations, as well as a great choice of display objects. E-Mobility Controls compiles all electrification related controls like battery management systems, vehicle control units and e-motor controls. From system level down to single components – our well experienced engineers support our customers globally and deal with all global standards. In addition to AVL control solutions we cover hardware development of electronics as well. This allows us to provide customized designed control units & software packages. AVL general approach is based on a seamless development from rapid prototyping to serial solutions. E-Mobility Controls includes open software development platforms for BMS, e-motor controls, VCU, etc. Further AVL can provide its self-developed electronic control units (e.g. VCU) as well as high voltage components (e.g. power inverter). With these given options our customers benefit from various existing hardware platforms which can be modified for their needs and used for the software build. Our model-based development approach provides us superb results regarding cost reduction. The tool based methodical work with Matlab/Simulink or Ascet underlined by our process structure assures high efficiency throughout each step. Moreover, our product process contains the concept development of the control algorithms in the PC-simulation MiL and SiL as well as the testing of the functions for the specific application of hardware by means of HiL.The AVL approach assures cost effective and high-quality engineering solutions. AVL CRUISE™ open integrative environment and AVL CRUISE™ M as multi-disciplinary modeling environment enables usage and structuring of different physical domain model to support the function development and calibration of various controllers which are essential part of the modern and future vehicle. Models can be plant and re-used in development of different controller (ECU, TCU, HEV, Aftertreatment, etc.) with a wide integration range to the main global control test platforms. In hybrid concepts the most essential part is a controller which makes decisions about power management as well as taking care that components are used in an optimal operating range to lower energy consumption and extend component life. AVL CRUISE™ provides the proper modeling environment for this application with interface capability that allows seamless and consistent control function development and calibration. Since control units are an essential vehicle part, supporting the development of different xCU by integration capabilities from MiL to SiL to HiL is one of the basic capabilities of AVL CRUISE™ and AVL CRUISE™ M. An overall system level simulation enables the analysis and development of different controllers, focusing on the interactions between different components and systems as well as separate, component-dedicated, control units. The open integration concept, with a wide range of interfaces, to leading control unit development and testing platform, ensure the vehicle and subsystem model can be integrated into almost any existing user environment. With its fully integrated Gear Shifting Program (GSP) module, AVL CRUISE™ supports shifting strategy development which is one of the essential parts of the Transmission Control Unit (TCU). Automatically generated shifting patterns help engineers to efficiently analyze a high number of transmission and powertrain variants to find the best fuel consumption and performance trade-off in the early development phases. In the calibration phase, a near-optimized shifting program developed with combination of AVL CRUISE™ GSP generation and optimization capabilities significantly reduces the calibration time and in vehicle testing. The excellent know-how and innovative ideas as well as the strong link of the NVH team to other skill teams within AVL, enforces the outcome of every single project individually and generates an additional benefit for our customers. AVL CRUISE™ and AVL CRUISE™ M introduce seamless control function development and calibration from MiL to SiL to HiL by using modularity with scalable model fidelity and an open integration concept. The unique modular modeling concept of AVL CRUISE™ M allows for the setting up and switching between sub-systems with various levels of detail within a single model. This significantly reduces the effort of parameter changes and model maintenance, and also enables a quick adjustment to specific needs for different working environments. Usage of the same system solver optimized for office and RT applications, guarantees consistency with comparable and reproducible results over the entire development process. Interfaces applicable to a wide range of modeling and programming tools and control test platforms provide engineers with the openness to expand model fidelity in well defined areas and to incorporate into a seamless MiL to SiL to HiL development workflow. The AVL e-Motor Emulator allows inverter and power electronic testing using a precise E-motor model coupled with fast and accurate power electronics – a "pHiL" (Power Hardware in the Loop).This system is optimized for testing inverters during design, verification and production phases under real environmental conditions. A wide range of fault stimulations are also possible so that the error behavior and monitoring of the inverter can be checked as well. The testing of the valuable (often prototype) specimens are performed under controlled conditions to prevent damage as much as possible. The AVL e-ME is designed to be used for analysis, characterization, verification, validation and quality assurance test of traction inverters. The core of the e-ME consists of a precise motor emulation system which perfectly mimics the electrical and mechanical characteristics of the e-machine model. The system operates at the high frequencies required for proper e-motor emulation and delivers class leading results. AVL has built a large competence not only in developing universal control units and functions software. AVL also has focused on creating tools and systems necessary to teach those control units. AVL EMCON 6™ is the leading control and monitoring system for engine, e-motor, powertrain and chassis dyno testbeds. Its fast control capability of test bed and unit-under-test enables stable steady state control of speed and torque, and transient simulation of real driving tests. How the quality level of mass-produced parts be kept at the highest level to fulfill the end-customer’s expectations? How can changes be avoided that result in a decrease in production, causing serious damage to a company’s image and leading to expensive recall campaigns? AVL EMCON 6™ provides an accurate reproduction of the driving conditions on the road using the right mixture of basic controller functions and sophisticated control algorithms. The ISO 26262 will become mandatory for each new truck development. Similar standards are already present for the agricultural & construction industry. Today, any electronic control development for heavy duty vehicles has to face the challenges to meet the functional safety standards. How do we ensure that the product is safe? How do we handle the safety risks implied by electronic controls in our machines? How do we ensure that all safety standards are fulfilled for the target market of the products?AVL functional safety specialists offer tailor made solutions for all the phases of the control development of a new commercial vehicle in the on- or off-road industry. AVL is an independent partner who follows the required processes, AVL's safety managers gained experienced by sucessffully closing many SOP projects and safety assessments (like from TUV). The AVL electro acoustic simulation approach enables to identify and stamp out sources of audible noise, as they typically appear in all types of electronic devices (DC/DC converter, power electronic, etc).Due to the increasing use of switch mode power supplies and power electronics, audible noise issues have become a rising topic within product development. What is the source or root cause of my audible noise emission problem? Is it possible to analyze and predict the acoustic behavior of a product without having a real sample in order to save time and cost? How can the impact of standard electronic components to noise emission be detected and minimized?The AVL audible noise simulation analysis enables to optimize the development process, as the factor noise emission issues can be solved right at the beginning. With the AVL simulation approach, the impact of electronic components on audible noise can be analyzed using physical parameters and electrical stimulation. For this, only the circuitry design and the bill of material are necessary. Furthermore, the influence of layout/component position at PCB level can be analyzed and optimized in a next step. What can I do to avoid over or faulty design to meet the requested functional performance? Is it possible to predict functional or thermal behaviour before first sample build? Is there an alternative to the common trial and error approach? How can I find the optimum between power dissipation and switching time?The AVL functional simulation approach enables to visualize all types of functional aspects in early stages of development where no real samples are available. It is possible to display the electrical behavior of the circuitry without any influence of measurement probes. Furthermore, the determination of the circuitry quality and performance can be done in a short period of time. For improvements, different methods like parameter sweeps, thermal models or Monte-Carlo-Analyses are applied. AVL's electric motor control systems are designed to be a flexible platform for e-drive development in hybrid-, plug-in- or battery-electric vehicles. Our library of sophisticated algorithms and functions are ready for stand-alone customer applications or adaptation to meet individual customers' scalable needs.